It is normal for a computer to gradually lose efficiency as it is used. 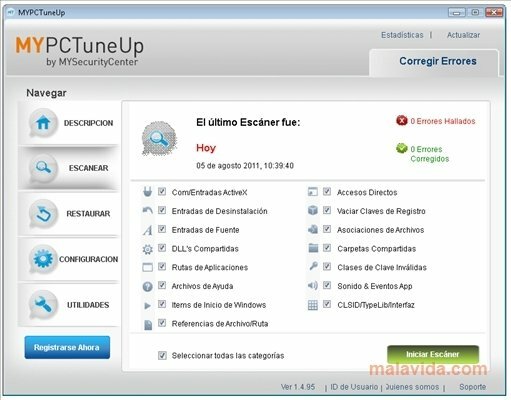 In this situation it is advisable to download and install an optimization software capable to improve its performance and to fix certain errors, for example MYPCTuneUp. 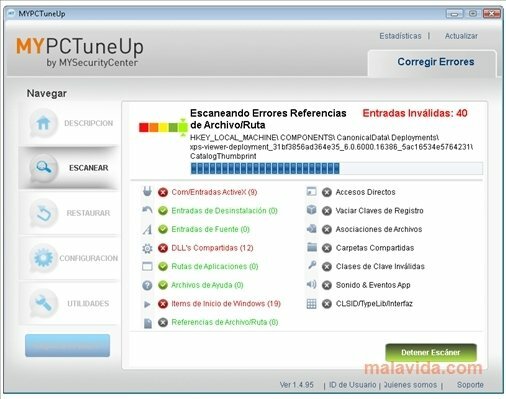 Once you launch MYPCTuneUp for the first time you will have to carry out a scan of the computer. 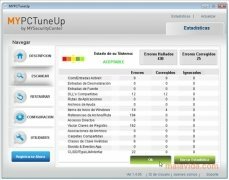 The possibility to detect all the configuration problems and registry errors that exist and it allows you to easily solve them thanks to the advanced analysis and detection technology that it uses. Improve the performance of your PC up to 200%. 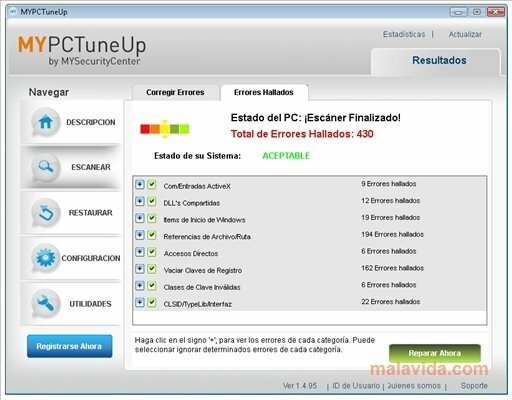 You will be able to see all the errors detected categorized and in detail and act on them with total guarantee thanks to the backup restoration system that it includes. 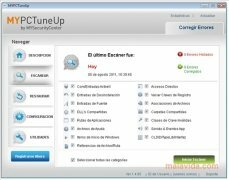 Thus, if any unexpected problem arises, you will have a backup of the registry to solve it. Improve the start up speed eliminating system startup programs. 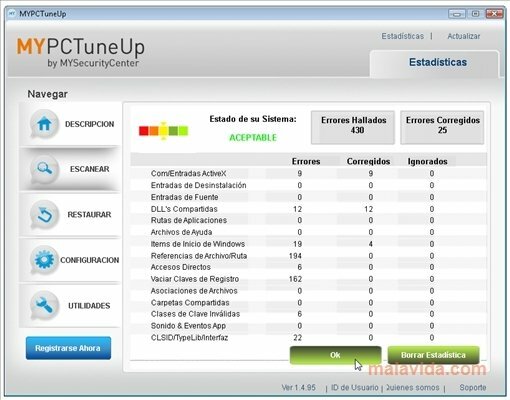 Improve the performance of your PC. Maximize the space available on your hard drive. If you feel that your computer isn't working properly you should take measures. 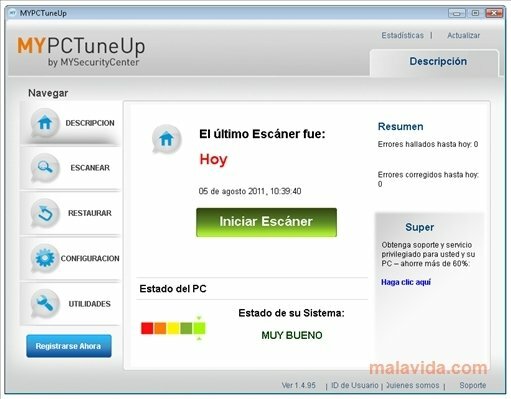 Download MYPCTuneUp and restore the computer's power. The trial version allows you to fix up to 25 system errors.